So, you want to be a leader? It seems to hold true that everyone genuinely longs to leave their mark, make a difference in this world, and be a leader in some capacity. Whether it’s through an actual job title, or to be viewed as one by your peers; we were all created with purpose to lead in our daily lives; it might just look differently than the person sitting next to you. While leadership can look like a variety of things, it’s usually distinct in different seasons of our life. 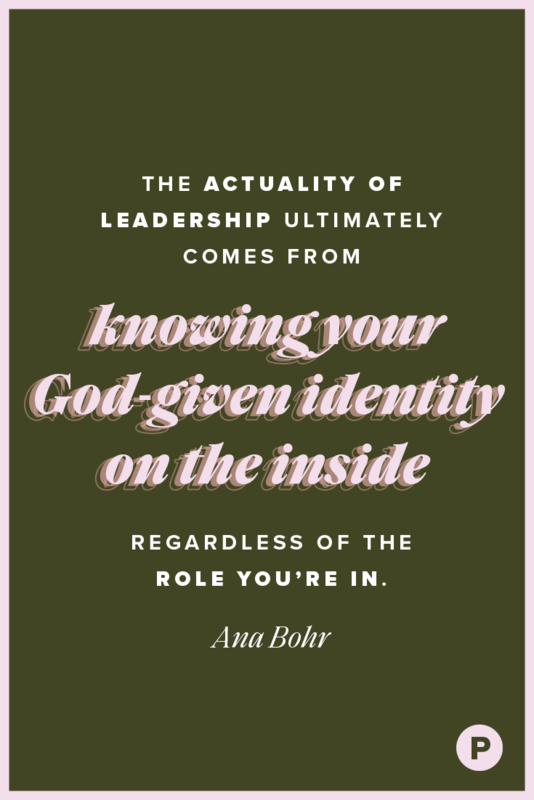 While a leadership title can look obvious from the outside, the actuality of leadership ultimately comes from knowing your God-given identity on the inside- regardless of the role you’re in. In 1 Peter 5:3, we’re reminded that God promotes us at the right time, while encouraging us to lead by example first, not by telling others what to do. And Jesus did exactly that. As Jesus was considered a leader back in the day; he did everything with genuine humility. Not only did he lead others well, but he lead himself well. And that started from within, first. He was focused on his vision, mission, and the team he chose to build from the ground up. He knew that he couldn’t do it alone. He then trained, equipped, and gave his own mission away. How crazy is that? He voluntarily gave away what he started from scratch. Not only was he an excellent example of a leader, but his humility was not overlooked. While this is a true testament of leadership, it can often be hard for some of us to fully grasp this concept and walk it out whole-heartedly. • Perseverance (Galatians 6:9). This is key! Let us not become weary, friends. For at the proper time, we will reap a harvest if we don’t give up. A good leader is someone who does “behind the scenes” well, regardless if there’s a reward or not. God will promote you at the right time; He’s got this! • Humility (James 4:10), Humble yourselves before God, and he will lift you up. Bring everything to him, and live your life with a pure heart. Great leaders have great intentions. God sees your motives and your heart, even when nobody else does. • Obedience (John 3:30), God must become greater, and I must become less. It’s so important to surrender our desires and our wants to the Lord. Putting him first in our life is very much worth it! Surrendering to his plan daily is always greater than anything we could come up with on our own. • Boldness (Micah 6:8), Take time to love others super well, do justice, and stand up for what is right. Good leaders take action and fight for the people in their sphere of influence. Choose to be on the forefront of what God is doing in and through the people in your life. • Integrity (Col 3:23), “Whatever you do, work-heartily for the Lord, not expecting anything in return.” Choose to focus on pleasing God, instead of looking to gain acceptance from other people. A good leader has a vision and plan, while living with a surrendered heart. Don’t let distractions get in the way from all that God has in store for you! Remember to lead by example first. The best leaders are the ones that don’t actually have the title- they’re the ones that have the heart. Ana Bohr currently resides in Orange County, California. She is chasing her dreams as a freelance writer and volunteers at Propel weekly. She is the founder of Tiny Rooted Words, has a huge heart to end sexual exploitation, and be a voice of purity in this generation. You can follow her Instagram here.